Although Colchicum autumnale is not native to the Pacific Northwest, these large, lily-like flowers have naturalized in many parts of the PNW and are found around many old homes in Portland, Oregon. 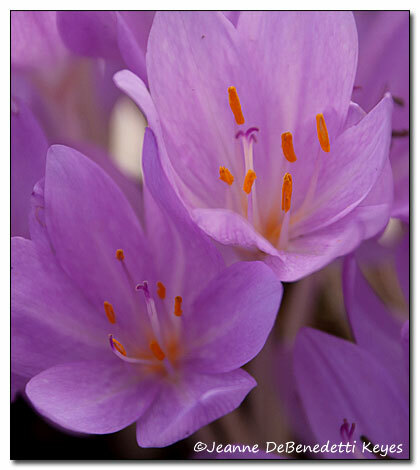 I value autumn crocus in the autumn garden not only because the translucent lavender-pink flowers glow when backlit by the late afternoon sun but because they are very hardy and self-sufficient. Colchicum autumnale is a very large bulb, growing to 8 inches by 8 inches in size. It is native to central and southeastern Europe, from Britain, South to Spain and while it may prefer meadows and damp woodland clearings in its native habitat, I find that it is very tolerant of PNW summer drought. The bulb produces large, strappy, light green leaves in February, which die back with the onset of summer, survives hot Portland summers with very little water, and then faithfully produces these gorgeous blooms in September through the middle of October. This plant happily thrives in one of the most inhospitable areas of the garden: the parking strip! 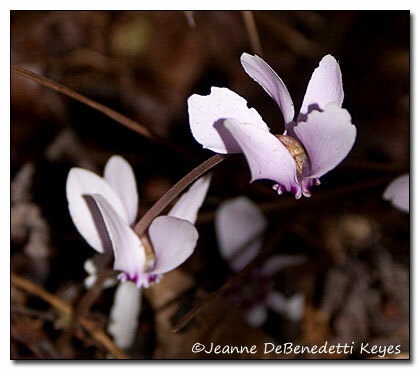 Another pink-flowered plant that blooms in the fall is Cyclamen hederfolium. This beautiful plant is hardy to USDA zone 5, is very drought tolerant, and in fact does quite well planted under trees and shrubs. In late August, C. hederifolium puts out sweet, one-inch pale pink flowers, followed by very attractive, mottled foliage that lasts through spring. By late June, the foliage will die back for its summer nap. 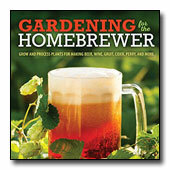 C. hederfolium grows from 2-3 inch round bulbs called corms. These hot and dry conditions are perfect habitat not only for colchicum and cyclamen but also for many plants of Southwestern Oregon. I have formed the soil in this area into berms, to provide well-draining conditions for plants such as Madrone (arbutus), Manzanita (arctostaphylos) and a host of other drought tolerant plants. Colchicum autumnale and Cyclamen hederifolium are perfect garden bedmates to southern Oregon natives. Here is the crux of the problem. How do I combine these vibrant, pink flowers with the muted browns, rusts, greens and oranges of fall foliage? What Oregon native thrives in hot, dry conditions, blooms all summer and into the fall with lavender-pink flowers? 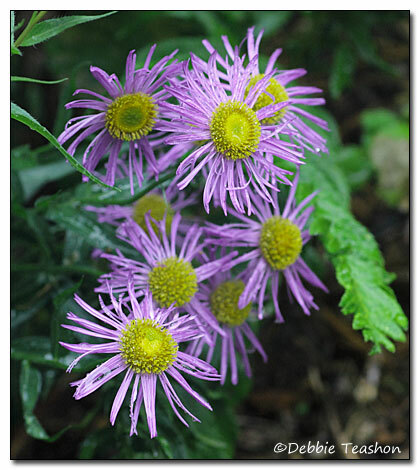 Aster chilensis, also known as Symphyotrichum chilense, comes to mind. Called common California aster or Pacific aster, this beautiful daisy-like flower has soft pink petals with a yellow center, and grows to a height of 20-40 inches. A. chilensis grows on slender, somewhat hairy stems, with lance-shaped, basal 3-8 inch long leaves. Although pink is not a traditional fall color, these three plants are very much at home in the autumn garden.